A famous politician that Gin becomes the secretary for (in place of Kirara). Despite his kind and caring exterior, he is a womanizer who sleeps with other politicians' wives, only to black mail them later. He appears to take a special interest in Kirara. Although he already has a fiancee, Makoto is in love with a young girl named Ruriko who is suffering from leukemia. He blackmails Kirara into breaking up with Gin and becoming his lover, all done in attempts to rise over Gin in political power, striving to become Japan's prime minister. Because a donor whose bone marrow is compatible with Ruriko's body is rare, after he becomes prime minister, he wishes to make a law that will require everyone in Japan to donate their bone marrows. 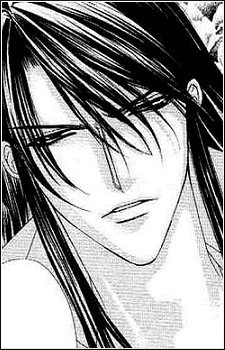 In the last chapter of the main story, he appears to Kirara with his long hair chopped off (something thar he said he wouldn't do until Ruriko was cured), and with news that he and Ruriko were to be married soon since a suitable donor had been found.